Warning: Content contains sensitive material that may not be suitable for all readers. It was an emotionally draining book to research and write. To most, it will be a difficult read. I did not include any crime scene photos out of respect for the children. We perceive mothers to be the epitome of care and support, yet mankind teaches us cruel lessons. The cases that follow go against everything we have been taught and have learned. 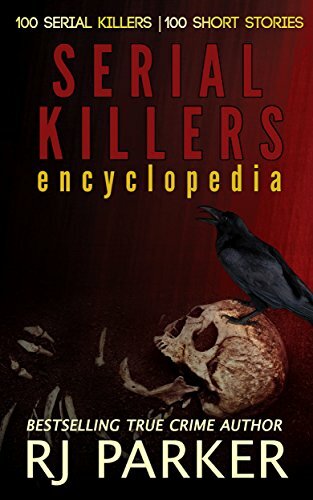 This book includes 10 of the most notorious cases of Filicide such as; Andrea Yates, Darlie Routier, Susan Smith and 7 others. Filicide is the intended act of a parent killing his or her own child over the age of one. (This book does not include Infanticide which is the killing of babies). The act is also regarded as an offence since it amounts to murder. To most of society, Filicide appears very unnatural and inhumane, yet a small percentage of parents exist who do kill their offspring. Many researchers and scholars have associated these tragedies as being caused by domestic violence. (This book has been selected as part of the Criminology course at the University of Utah). "Is there anything more reprehensible than filicide--that is, the intended act of a parent killing his or her own child? In "Parents Who Killed Their Children," the award-winning true crime author RJ Parker shines a powerful light on this dark and sordid phenomenon. First, Parker offers a number of possible psychological and environmental causes (or at least correlates) of filicide. Then he presents ten shocking, real life case histories of parents who murdered their children. The result is a book that is bound to make you rethink the absolute sanctity of motherhood and reflect on why some mothers do indeed "eat their young." This is a powerful read and another hard-hitting, compelling entry by RJ Parker." "Acclaimed true crime author, RJ Parker, has a knack for collecting high-profile cases under specific themes. This collection about parents who kill their children provides a fast-paced, gripping overview of how things can go horribly wrong in once-loving families. From Andrea Yates to Jeffrey MacDonald to Susan Smith, Parker reports on the stunning case details and suggests reasons why the parental bond can get so twisted. The updates at the end of each chapter add a lot, since popular media rarely follows up. An important reference for true crime readers." Dr. Katherine Ramsland, PhD., Professor, bestselling author of 51 books including, "The Mind of a Murderer" and "The Ivy League Killer." "The only thing more shocking than female serial killers is when mom or dad kills their own children. RJ Parker has collected some of the most notorious and horrific cases of homicidal parental units out of control. Shocking and gripping." Dr. Peter Vronsky PhD., Professor, investigative criminal justice historian and filmmaker. He teaches the history of terrorism and international relations at Ryerson University in Toronto. He is the author of the bestselling history of serial murder, "Serial Killers: The Method and Madness of Monsters" and "Female Serial Killers: How and Why Women Become Monsters."